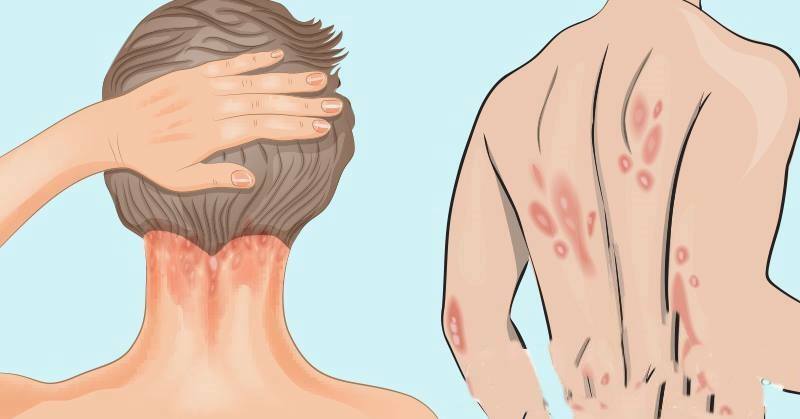 Psoriasis is an autoimmune disease that leads to the accumulation of cells on the skin surface, creating thick, red, scaly, and itchy or painful patches. More than 7.5 million Americans are affected by psoriasis, causing an annual healthcare cost of approximately $112 billion in 2013. Part of the reaction of this disease occurs when a type of white blood cell known as T cell mistakenly attacks healthy skin cells. These overactive T cells, in turn, trigger other immune responses that accelerate the growth cycle of skin cells, that move to the outermost layer of the skin. These dead skins cannot be eliminated easily, so they build up in the form of patches, that can crack and bleed. People affected by psoriasis have an increased risk of other chronic diseases, such as heart disease, eye conditions, type 2 diabetes, and high blood pressure, as well as psychological repercussions, like depression, low self-esteem, and social isolation. What is of high importance is that these sufferers check their vitamin D levels, since this vitamin is a powerful immune modulator, that prevents autoimmune diseases. It affects psoriasis on various levels, as it regulates keratinocyte (skin cell) growth, impacts the immune functions of T lymphocytes and other cells, inhibits cytotoxic T cells and controls skin cell growth. Conventional psoriasis drug treatments are expensive and highly risky, but the best way to naturally treat is by optimizing the levels of vitamin D in the body, by a proper exposure to sunlight. Apparently, UV rays in sunlight and certain types of artificial light destroy the activated T cells in your skin, and thus slow down cell turnover and reduce the scaling and inflammation. Moreover, another study has revealed that the increased vitamin D levels are linked to markedly improved survival in people with advanced colorectal cancer. The study completed by Joan Lappe and Robert Heaney in 2007 showed that the increased serum levels of vitamin D in menopausal women led to a 77 percent reduction in the incidence of all cancers. Finally, a robust and growing body of research has shown that this important vitamin is critical for disease prevention and good health. It impacts the DNA through vitamin D receptors (VDRs), which bind to specific locations of the human genome. The optimal levels of this vitamin to support general health range between 50-70 ng/ml, but in the treatment of chronic diseases like heart disease, cancer, and autoimmune (i.e. psoriasis) and/or neurological diseases, the levels should be between 70-100 ng/ml. Unfortunately, vitamin D deficiency is common all around the world, and men between the ages of 31-60, and women aged 16-30 are especially at an increased risk of vitamin D deficiency. Sensible UVB exposure is the perfect way to optimize the levels of this vitamin in the body, but you can also benefit from the oral supplementation of vitamin D3. Yet, if you decide to take supplements, make sure you take vitamin D3—not synthetic D2—in a combination with vitamin K2 and magnesium. Since vitamin D is fat-soluble, in order to enhance its absorption, take it with some form of healthy fat. On the other hand, vitamin K2 is needed to help move calcium into the proper areas in the body, and prevent calcification and hardening of the arteries. Additionally, magnesium will convert vitamin D into its active form by activating enzyme activity that helps the body use the vitamin D. Increase the intake of sea vegetables, like kelp, dulse, and nori. When it comes to the types of supplements, the recommended ones include magnesium citrate and magnesium threonate. Vitamin D interacts with vitamin A, zinc, and boron as well, so make sure your diet is high in them.